Rural and remote areas across Canada will see better Internet thanks to new investment by the federal government. Navdeep Bains, Minister of Innovation, Science and Economic Development, along with Will Amos, Member of Parliament for Pontiac, announced today that the Canadian government will be investing $500 million towards greater access to high-speed Internet in 300 rural and remote communities by 2021. 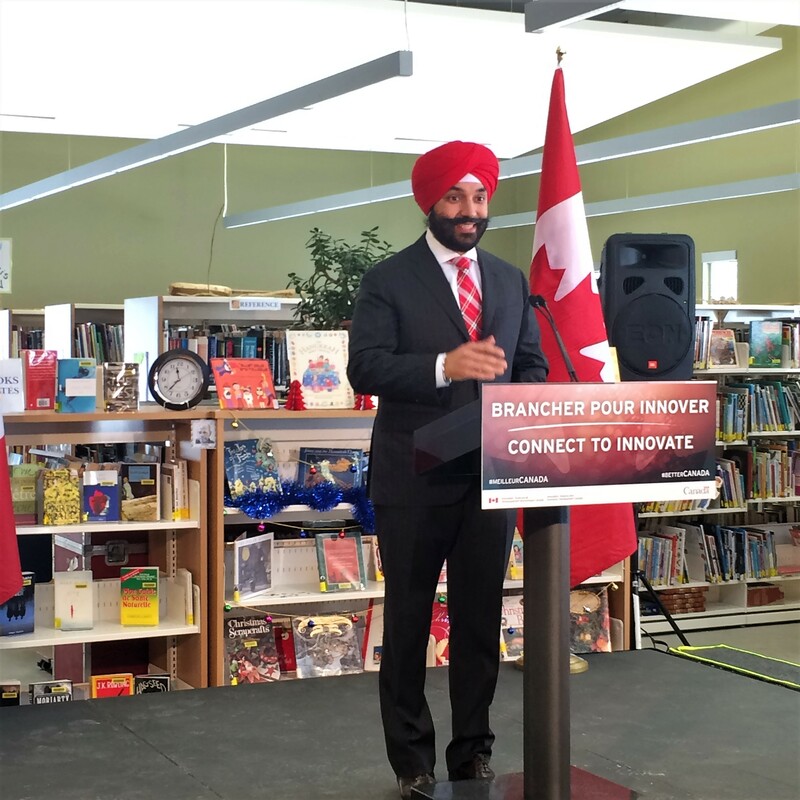 The initiative, called Connect to Innovate, will bridge the ‘digital divide’ and help bring internet to institutions such as schools, hospitals and First Nation band offices in such areas, Minister Bains said in a press conference at Biblio Wakefield Library, in Wakefield, Que. He added that the program will enhance “rural and remote communities’ ability to innovate, participate in the digital economy and create jobs for middle-class families”. A portion of the initiative’s funding will go toward building new high-capacity ‘backbone’ networks, as well as upgrading existing backbone networks and providing ‘last mile’ connections, according to the event’s press release. Additional backbone capacity could be used to provide Internet speeds of over five megabits per second and provide access to “life-changing online services such as tele-education and tele-medicine”. “It is the modern equivalent of building roads or railway spurs. These networks will support the digital needs of Canadian institutions, businesses and households well into the future,” the press release explained. Communities will need to submit applications for project funding, for which the deadline is March 13, 2017.